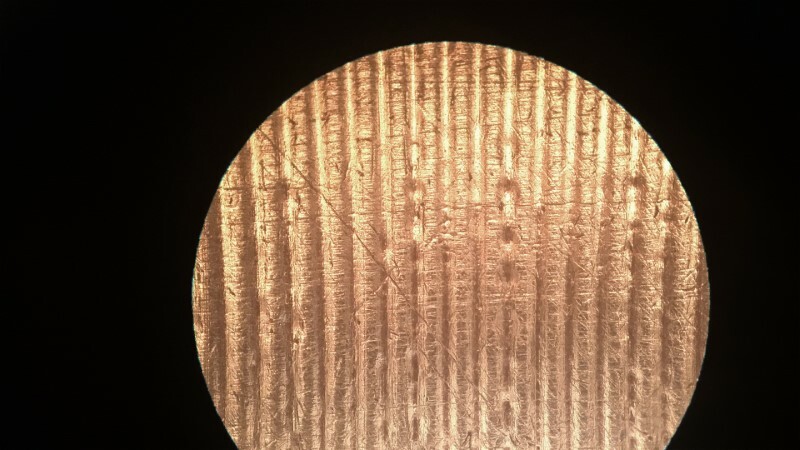 The story of a sound recording as a collection object begins with the acquisition (or as it is called in museum practice – by acquisition) of an object and its inclusion in the appropriate registration system. The process continues in the identification of its form and other visual attributes, and further evaluating its physical condition and, ultimately, its cultural significance. These basic steps then lead to the audio carrier becoming a ‘collection object’. The basic prerequisite for any further handling of the sound recordings, including the digitisation process, is the preservation and protection of their current state. This process comprises several areas. 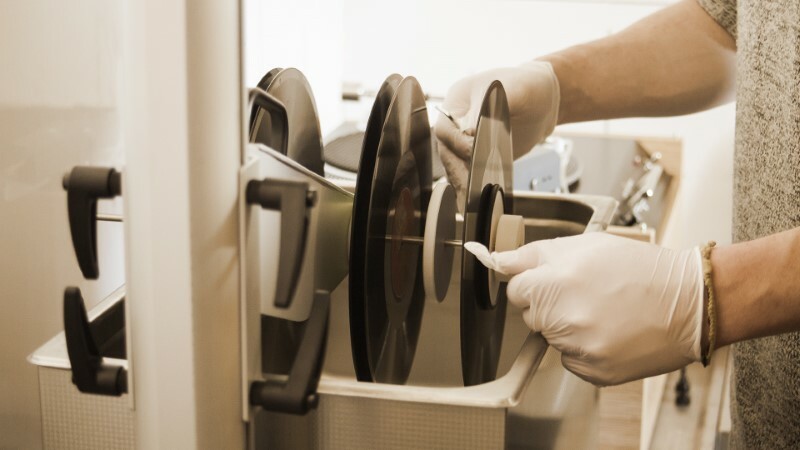 Starting with gentle,correct handling according to the type of physical carrier, more sophisticated approaches for cleaning, preserving recordings, as well as labeling and rehousing, this phase must ensure optimal conditions that minimise negative effects through handling and ensures the long-term preservation of the carrier and content. After the process of gentle cleaning and repackaging of the audio documents, the visual digitisation phase takes place. For these purposes, a special photo studio which houses a camera and other accessories for the image digitisation of various cultural heritage objects is used. This project primarily focuses on how best to capture images of audio documents. Therefore our photo studio equipment was selected based on consultations with leading digital imaging experts. The custom studio is equipped with a high-quality camera which can be mounted on a robust, mobile arm, and which can be equipped with high-quality lighting technology. The image feed connects to a computer, using professional image software and the room is equipped with special ceiling lights that offer better working conditions in terms of eye health. The aim of the photo studio will be to find the most authoritative way of capturing labels of gramophone records and record labels themselves. 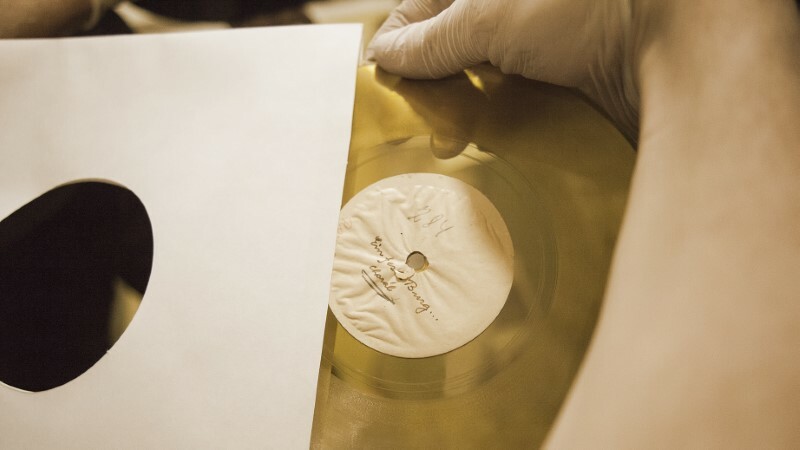 The final outcome will be a methodology: gramophone record labels and their digitization. 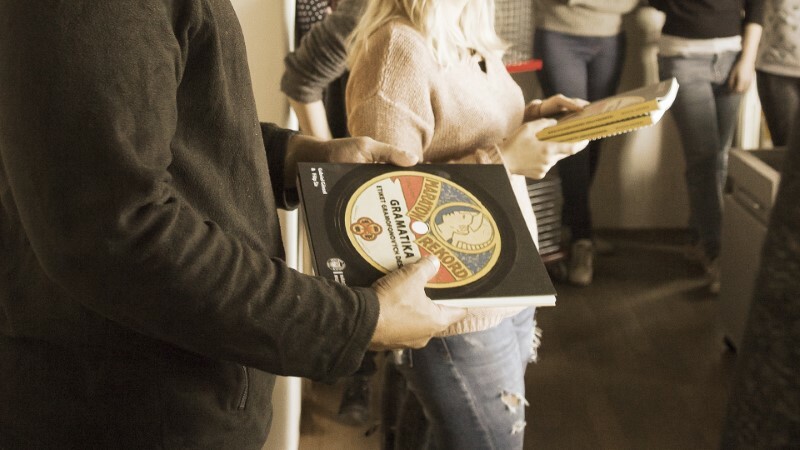 This manual will help memory institutions set up their digitisation space according to optimal parameters described by the methodology, allowing them to digitise labels of gramophone records to the best possible standards. When we say recordings are catalogued, we mean the carrier and its contents are described according to established rules that allow an electronic library and discographic database record to be created. The current rules guiding this description will need to be reviewed: based on analysis, the needs of libraries, museums and archive records must be defined, and an optimal set of descriptive metadata structures must be proposed. Cataloguing is an integral part of the process of recording and processing objects owned by an institution. Through cataloguing gramophone records and phonograph cylinders, a full discographic database is created. Within the “New Phonograph” project, the cataloguing of two types of historical media according to relevant RDA standards, in MARC21 format, is ongoing. 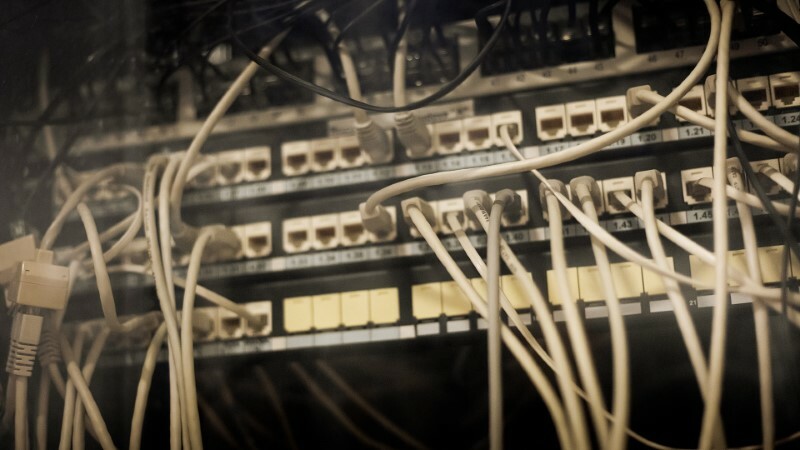 At this stage, the key person is a sound engineer who identifies the appropriate tools for creating a faithful digital copy, and then creates a digital component that includes both the digital image of the audio contained on the media and documentation of the analogue audio transmission path which results in the digital version. Digitisation is a crucial step in preserving the recording and making it available. 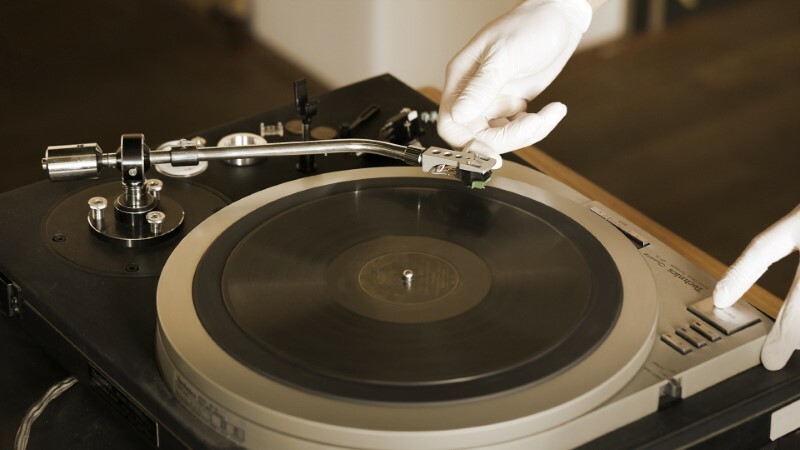 Specialised playback machines are needed to digitize historical recordings, as many of the original tools used are no longer available to reproduce these valuable sound recordings. Comprehensive data management is a prerequisite for the long-term preservation of the content and therefore dictates the value of the audio. File management of digital collections within repositories is an important part of the overall workflow, as well as a necessary step in the creation of appropriate technical and descriptive metadata, for which we are designing a custom module for ProArc. 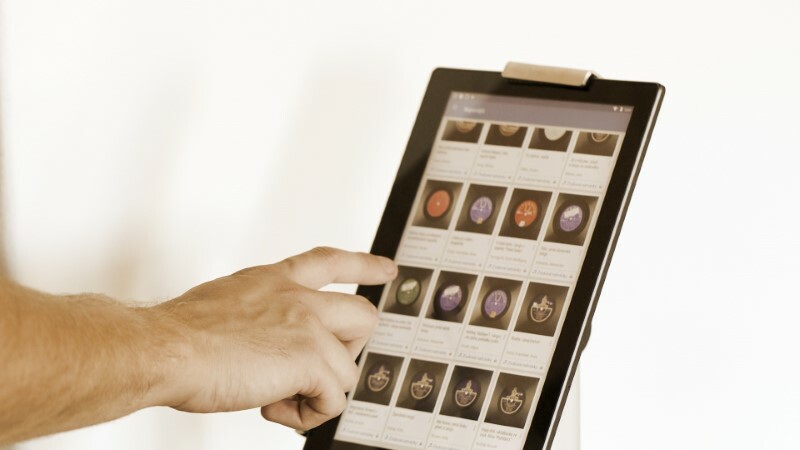 A specialised team of phonograph cylinder and record transcription professionals perform transcription, description, metadata creation, archiving and digital rendering. 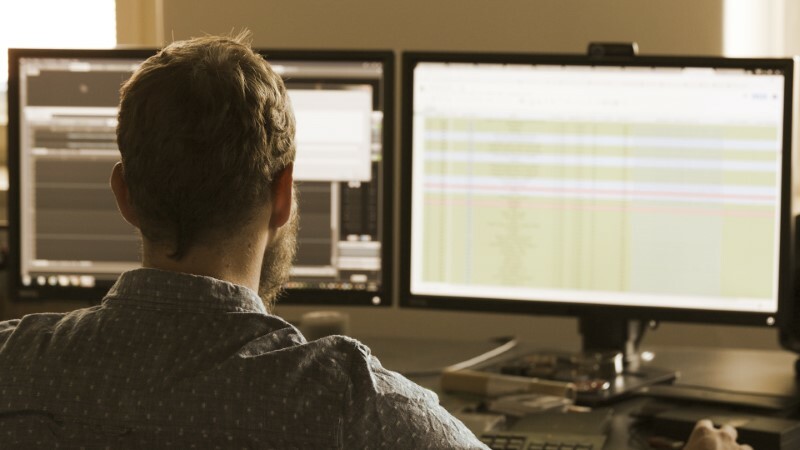 The final step in bringing the recording to the listener is to make it accessible through a user-friendly digital environment. Specifically, the recorded audio files are ingested to the Kramerius digital library in both image and sound formats. The recording is made available to the user – though access restrictions may apply – and the digitisation process achieves its primary goal. Innovation of tools and processes will ensure the preservation of cultural heritage. This ongoing effort encompasses work towards creating a long term preservation standard for phonograph cylinders, creating a new software module for cylinders in the ProArc archive system, and developing a sound library software module for the Kramerius digital library. We spread our experience and knowledge across different platforms. 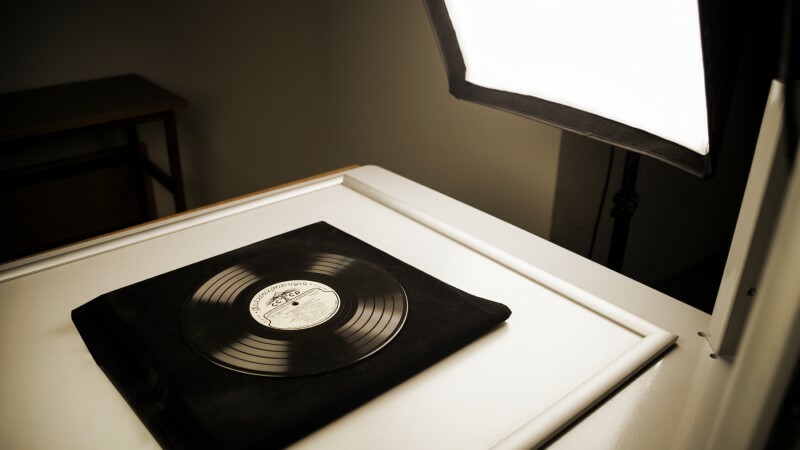 In particular, the digitisation methodology of the phonograph record is being developed, and will be published, along with other papers, in peer-reviewed journals in the Czech Republic. At the same time, expert discussion is being conducted to determine the criteria and processes for selective digitisation of phonograph cylinders and standard records. New curricula are being developed by Masaryk University, while courses and workshops for the general public will be organised in order to raise awareness and disseminate knowledge on the protection of cultural heritage.